TIPI RAISERS - Donations like yours make all the difference! Make a difference in the lives of the Oglala Lakota! Your gift directly supports the Lakota of Pine Ridge Indian Reservation. Your donation can do so much! 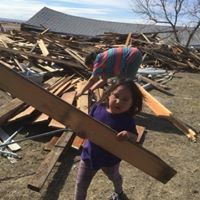 With support from donors like you we bring Lakota and non-Lakota people together as they work to provide firewood in the winter, mattresses for families sleeping on floors and homes to families living in sub-standard and destitute conditions. Your contribution also provides scholarships and stipends for our Youth Ambassadors to travel nationally, sharing their culture and engaging in the reconciliation work which is at the core of what we do. Donate now or if you wish to learn more about our Sustained Giving program,click here for more details. This is a drop in the bucket for all we should be doing for those we have so mercilessly oppressed. Please know you are loved and admired by many Americans. I hope this small donation is of some help. Stay strong. To try to help people that are ignored in our country. Many blessings to all the relatives on.Pine Ridge. Donating here to support this organization and all you do! On behalf of Joe Loetcher, I send a gift of money to use as needed during this difficult time. For art supplies and a chain saw.